This monday is yet another release from me. 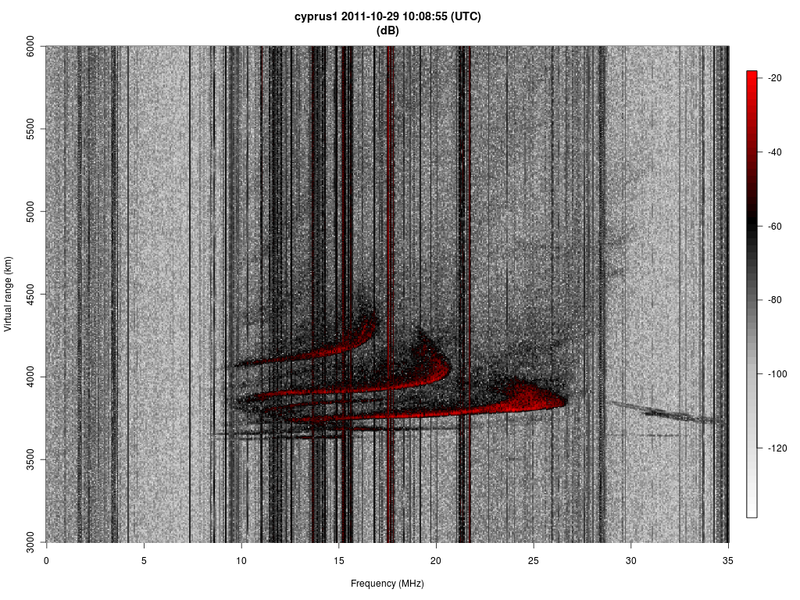 I'm publishing my code for ionospheric chirp sounding that I've been working on for a while. In lack of a better name, I'm calling it the GNU Chirp Sounder. 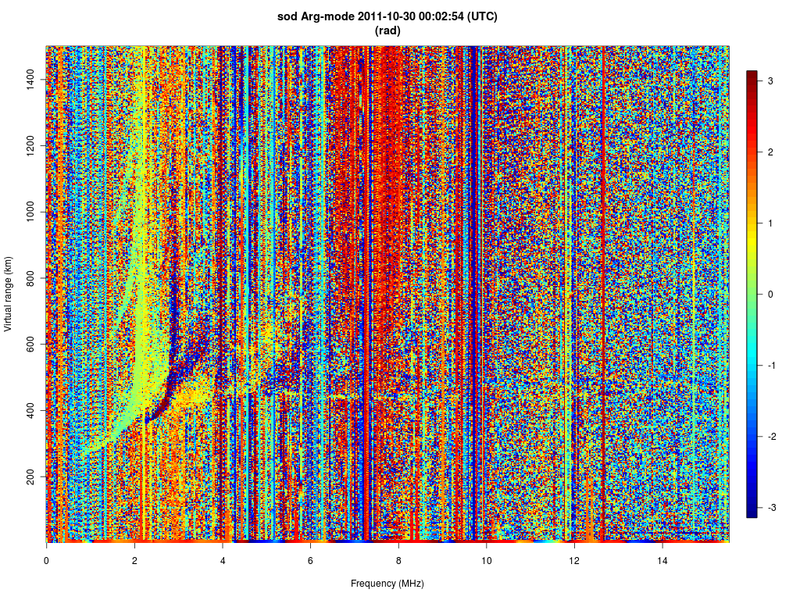 It is a software defined radio based receiver for monitoring ionospheric sounders. The software is based on gnuradio and relies on Ettus research USRP2 and USRP N210 based digital receivers. The receiver can be used to receive the whole HF band (typically at 25 MHz bandwidth) simultaneously, and to receive multiple chirp sounders around the world simultaneously. The current receiver can be also used to perform single or dual polarization (channel) soundings. The dual channel mode can be used to determine the polarization form vertical soundings, or for angle of arrival measurements for horizontal soundings. 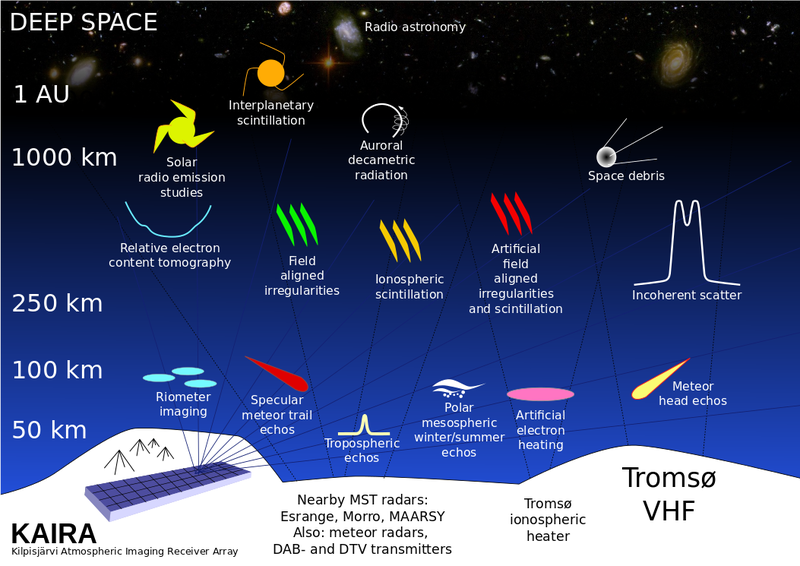 It would also be trivial to add more channels for e.g., imaging or full polarization measurements. The software consumes about 70% of one Intel Core i7 processor core, meaning that with a quad core processor, it is possible to simultaneously receive four different sounders, assuming that they are within the 25 MHz band that the receiver is tuned to. Oblique ionogram between Cyprus and Sodankylä. The Cyprus over the horizon radar installation transmits between 8 and 35 MHz with a 5 minute repetition period. 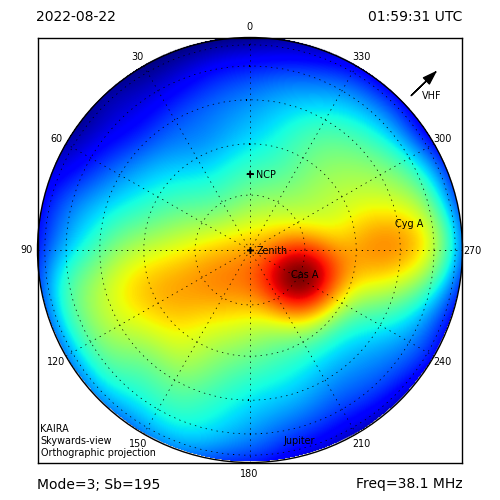 This can be used to deduce ionospheric electron densities along the propagation path. 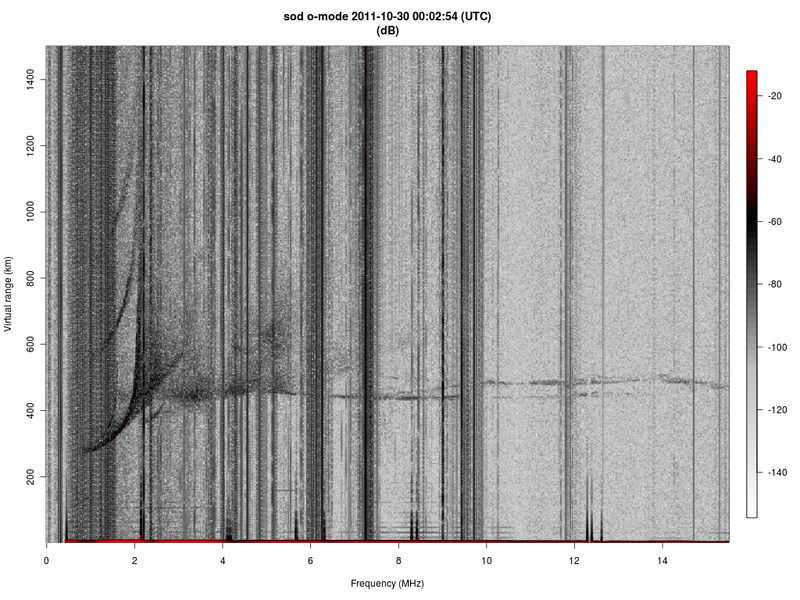 Vertical ionospheric sounding with the Sodankylä Ionosonde. The receiver is approximately 1 km from the transmitter. The phase difference between H and V polarizations. The greenish corresponds to O-mode of propagation and the blue corresponds to X-mode of propagation. As the receiver is relatively inexpensive and the hardware contains a GPS reference, it would be possible to perform 3D imaging of the ionosphere with this receiver, provided that there are enough of them.